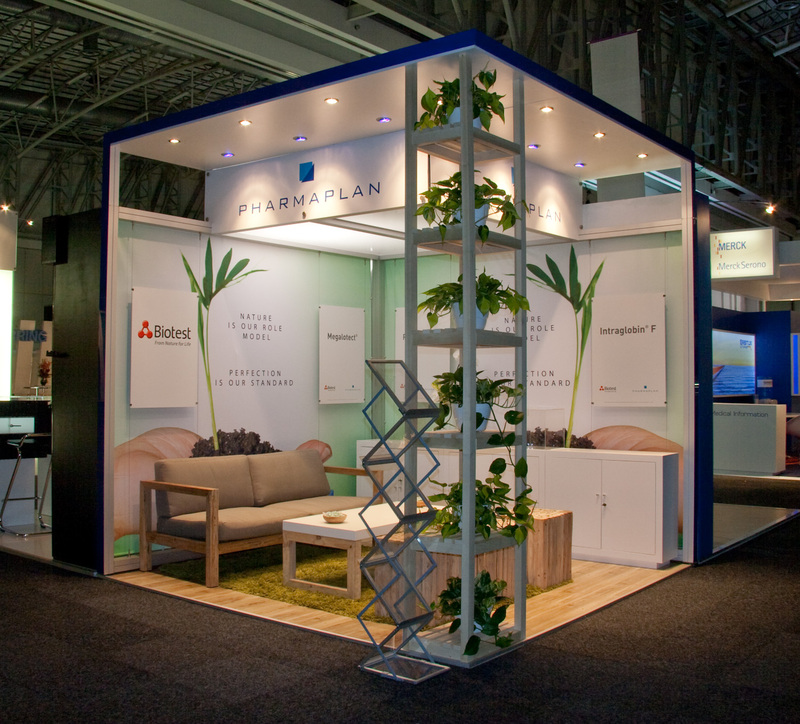 Pharmaplan where exhibiting a new medical drug to an audience of 1500 delegates, many of whom where international. A representative of Biotest (Pharmaplans are the South african distributors for Biotest) flew out to support their exhibition effort. This stand was an excellent example of a combination between system building and custom building. The entire stand is fully re-usable. This is one of my favourite stands to date in 2011. We are afforded a great deal of leeway by Pharmaplan with regards design, which worked out fantastically for EHPBA as it has for previous shows for them. 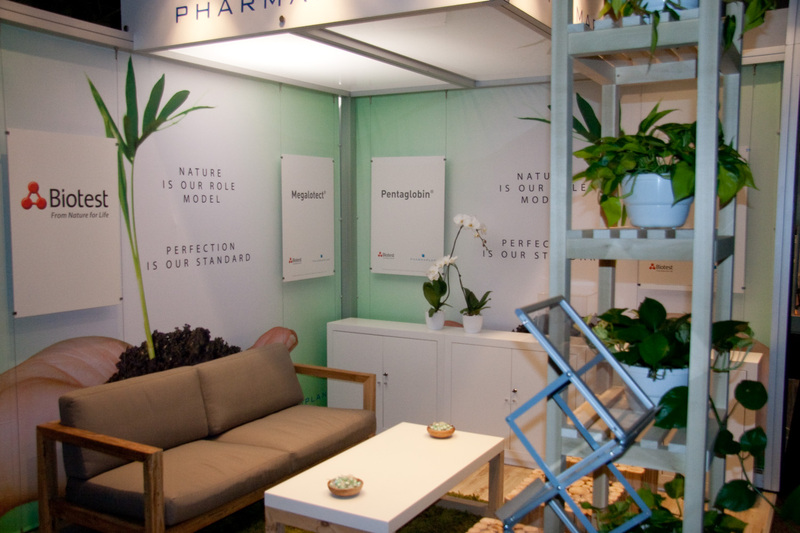 The relationship between Pharmaplan and H3D has now extended into its 5th year. It is a perfect example of how a long-term relationship can be beneficial for both company’s. 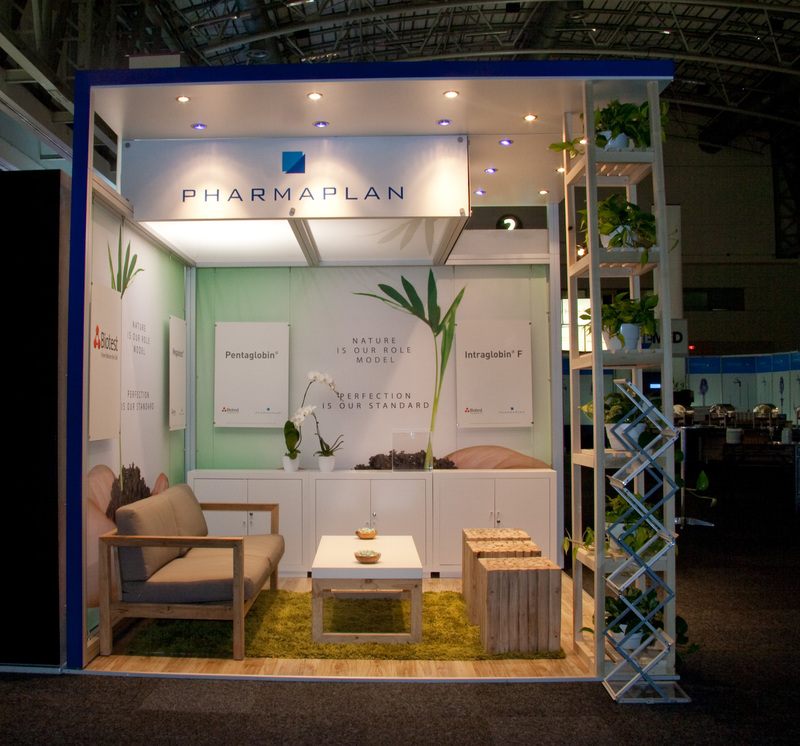 With over 70 stand builds to date for Pharmaplan they remain one of our most important key clients. They understand us. We understand them and we continue to offer very good value for what is produced. As they grow so too does their stand impact.